Well, that is the starting point, just like learning to write the letter A is the starting point for literature. 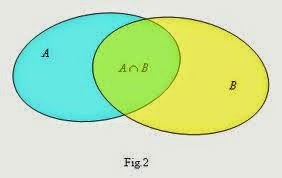 Set Theory grew very much from its roots, and now it is one of the most complex and difficult fields of Mathematics, capable of giving headaches even to the most skilled mathematician. And I work on that! Amazing. Where does the difficulty come out? Infinity. As long as the sets are finite, things are pretty much what we expect (not trivial, though, it is incredible the amount of work we can do with finite sets), but when infinities come into play, then all the world as we know goes upside down. Anyway, as humanity has been fascinated by infinity since the dawn of time, it happens that Set Theory creeps in popular medias: books, movies, etc. But is it done correctly? How are writers dealing with such a difficult topic? This is why this blog exists: it is a collection of instances of Set Theory in pop culture, with comments on whether the quotation has been done surprisingly well, or disastrously wrong. I suspect I will update sparsely: I will just post anytime I find something. So, if you are reading/watching/hearing something about infinity and you wonder if it is correct, comment here, or contact me! I will solve your doubt. One last thing: the title of the blog. The impulse for its creation comes from the belief that there is no contest between science and humanities, both concur in the progress of mankind, and yet both have a lot to learn from each other. This is a very metamodernist concept, and for that reason the title of the blog is a variation of “Kafka on the Shore”, the book from the most metamodernist author I know, Haruki Murakami. 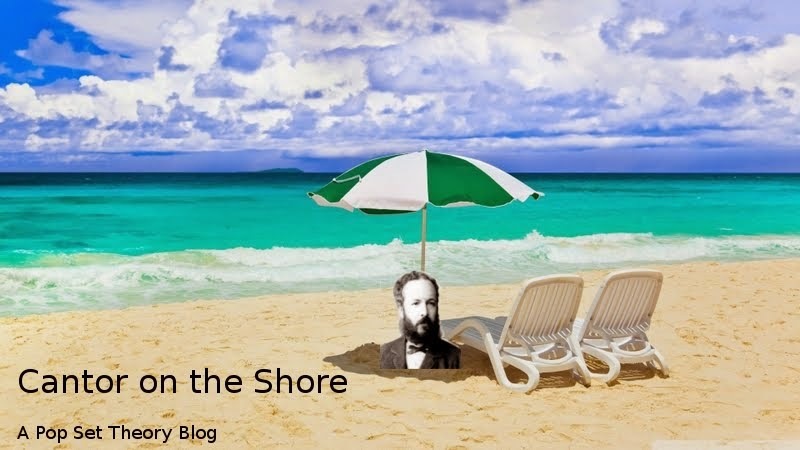 Also, I enjoyed the view of Cantor, the founder of Set Theory, chilling on the shore with a daiquiri in his hand, and solving doubts in his spare time. What did Cantor wear on summer? Now I wonder.